Hailing from the Mediterranean and Southern Europe, Rosemary has been a garden stalwart for centuries. 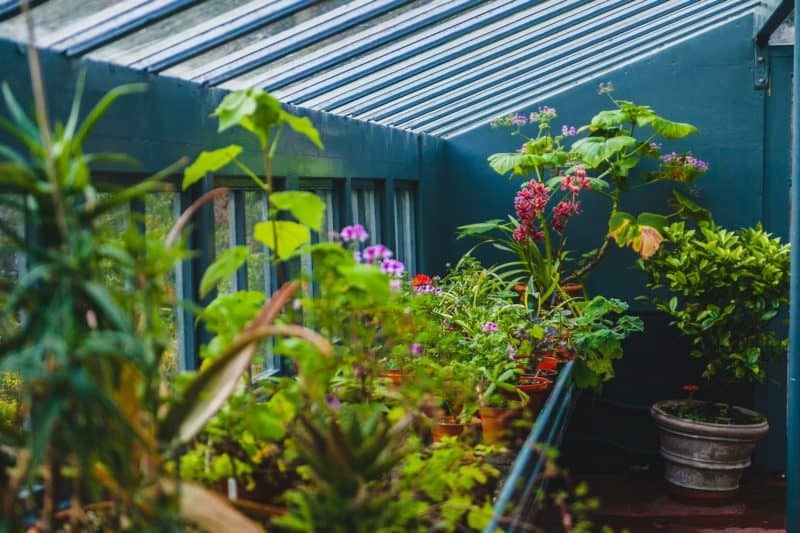 It can be used as shrub in or hedge around your vegetable and herb garden, where it will protect tender plants and repel an array of pests (and evil spirits, we’re told) or it can be incorporated into the ornamental garden where it will fit in with ease! Description: An evergreen, shrubby herb with highly aromatic, thick leaves. It bears small, blue flowers most of the year. Rosemary will grow in any well-drained sandy or loam soil. It does not grow well at all in waterlogged or high clay soils. Rosemary is ideal for coastal gardens as it doesn’t mind the salt air and sandy soil. It’s a very easy-going shrub, requiring occasional deep watering, a bit of pruning if desired and very little else. Rosemary also grows well in containers. Plant the young plant in a container of at least 30cm x 30cm in a good quality potting soil. Ensure that pots have adequate drainage holes. Allow the soil to dry between watering. Growth habits vary according to varieties and some rosemary plants lend themselves more to growing as a shrub in beds and borders, while others will do well in containers. 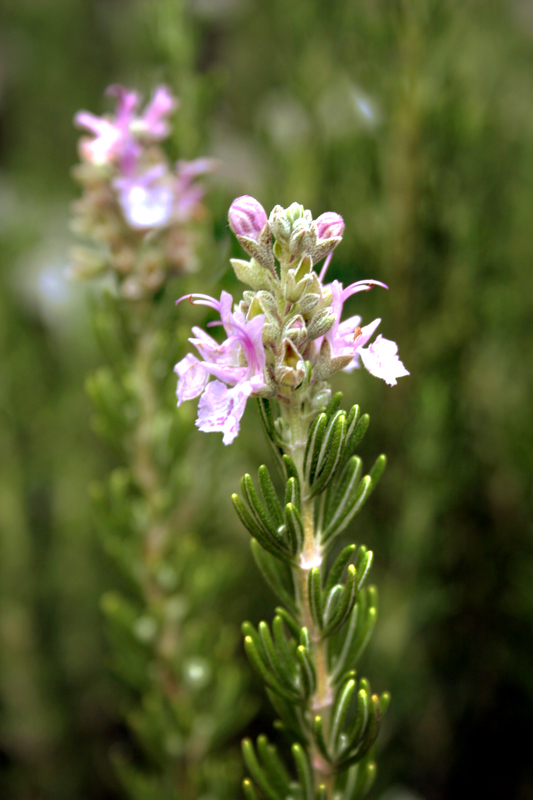 Rosmarinus officinalis ‘Major Pink’ – a low-growing shrub (1mx1m) with pale pink-blue flowers. Very hardy. Rosmarinus officinalis Tuscan Blue – very long, virtually branchless, stems (1.5-2m), topped with brilliant blue flowers. Perfect for high hedges. It’s also known as the barbecue rosemary as its tall, straight stems lend themselves perfectly to be used as sosatie skewers. Rosmarinus officinalis ‘McConnell’s Blue’ – a very popular rosemary. It is a prostrate, spreading shrub (1m x 1m) with small blue flowers. Rosmarinus officinalis ‘Ginger’ – with aromatic, ginger-scented leaves and pale blue flowers. It grows up to 60cm high and is ideal for pots and other containers. Rosmarinus officinalis var. prostratus – a drought resistant, low growing shrub with a spreading habit (60cm x 2m). Beautiful as a groundcover, or grown in a container or hanging basket from where it can cascade. Also stunning if planted in a position where it can cascade over a wall. Likes: Beans, Brassicas and Carrots in particular, but all plants will benefit from its insect repelling properties. Although extremely resilient, rosemary can fall prey to redspidermite, thrips and white fly. If plants are overwatered or waterlogged, they may develop fungal problems and root rot. Either adjust their position and watering or treat with an appropriate organic pesticide – easily found in our plant doctor section or by asking one of inside information ladies. Rosemary can be picked right through the year – so you’ll always have a fresh supply. Add to hearty winter beef and lamb stews, roast chicken and creamy potato bakes or make a refreshing rosemary tea to lift your spirits when life becomes a bit frantic. Use the dainty flowers to decorate salads and snacks. The longer stems (Tuscan Blue Rosemary is ideal for this) can be used as skewers for sosaties, imparting their lovely essence into the meat. A clump of Rosemary sprigs also make for wonderful additions to present wrapping and ribbon bows! In the vegetable garden, Rosemary is a must as it will discourage slugs, snails and caterpillars, protect young seedlings from cutworm and repel aphids. Pick some Rosemary branches and either make a strong wash with hot water (to release the powerful oils) or rub them directly onto windowsills, countertops furniture and even the dog’s kennel to chase away flies, fleas and mosquitoes.